I sacrificed a party to see this. It was worth it. 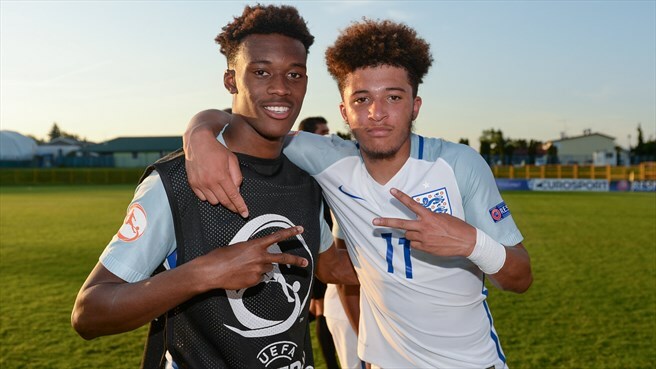 Here's a picture of Callum with Jadon Sancho when they were playing for England in the European Under-17 Championship. It wasn't headline news yesterday as the transfer window closed, but Sancho become the latest young English player to move overseas after Borussia Dortmund confirmed the 17-year-old had joined from Manchester City for a fee understood to be around £8m. He will wear the No7 shirt vacated by Ousmane Dembélé when he joined Barcelona for an initial £95m last week.